Lash-It! yields the highest strength, lightest weight, lowest stretch, and longest wear life available. Made from Dyneema fibre, this twine yields the highest strength, lightest weight, lowest stretch and longest wear life available. Rope performance is determined by strength, stretch, wear resistance and handling flexibility characteristics. 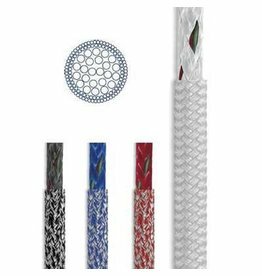 A premium three-strand rope should be flexible but firm - thereby maximizing resistance to wear, snagging, hockling and kinking.